What is the Fortnite season 9 release date? Whatever the precise date is, it certainly isn’t far away. Well, it’s close enough to start getting excited all over again for a brand new Fortnite season – unless you’re Prince Harry, of course. As ever, we’ve been plugging away with those weekly challenges, racking up Victory Royales – we don’t care if you don’t believe us, we’ve got loads – and making masterpieces that rival the very best Fortnite Island codes. Probably. 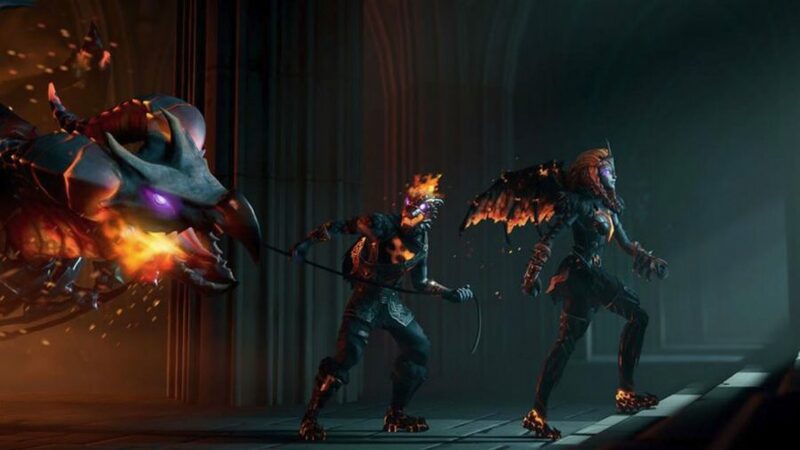 But now, we’re chomping at the bit to see what’s next for Epic Games’ world-conquering battle royale game as part of Fortnite season 9. As ever, Epic are burrowing away plenty of intriguing metanarrative titbits to fuel the fan theorist fire. So we’re going to be collating and covering the most persuasive hypotheses of what will happen next to the Fortnite map. We’ll also be breaking down what you can expect to see in terms of Fortnite season 9 map changes and how the future Battle Pass will look. Since getting access to loads more cosmetic goodies and a glimpse at the refreshed battlefield are easily the most exciting parts of a new season, we’ll be exploring those in the greatest detail, while also keeping this guide nice and up-to-date, naturally. So, here goes: this is everything we know about Fortnite season 9. When does Fortnite season 9 start? All other things being equal, you can expect the ninth phase of Fortnite to land after ten weeks of challenges. In other words, the Fortnite season 9 release date will be May 9, 2018. Of course, it’s not always as simple as that: there have been seasons where the new update has been implemented without a hitch but, on other occasions, it has been delayed. Often this comes with a sprinkling of new challenges and a temporary XP boost to ensure everyone can get all their lovely loot before their Battle Pass expires. Until the final weeks of challenges get started we won’t know exactly when the Fortnite season 8 end date will be, but we can at least wish really really hard for it to come soon. In life we can be certain of three things: death, taxes, and a new Battle Pass with each new Fortnite season. As ever, we’re expecting 100 tiers to progress through and loot to unlock as you do. 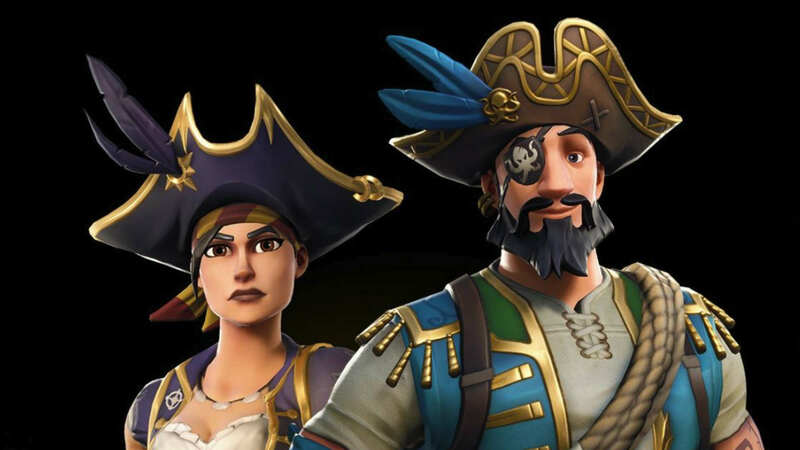 You’ll get plenty more new cosmetics to add to your already-bulging collection if you buy the Battle Pass all over again, which we assume will again cost 950 Fortnite V-Bucks. Unless there are any drastic changes to the tried-and-tested Fortnite formula, you can play for free as long as you like, but your wardrobe will be lacking some choice additions. That said, you could get a free Fortnite Battle Pass at the end of last season by completing special Overtime challenges. These missions kept us going between the final weekly challenges of season 7 and this current season commencing. At the time this was seen as an attempt for Epic to combat the rising tide that is Apex Legends. However, since many players of Respawn’s multiplayer game were disappointed by the Apex Legends Battle Pass, it might not pose the threat to Fortnite’s throne that it once did. Either way, we can’t be sure that Epic will repeat this gambit. Fortnite’s brightly coloured arena of death was transformed on the cusp of season 8 as Lazy Links got rather damp and made way for Lazy Lagoon. What’s more, the Aztec-style Sunny Steps appeared and a huge lava-spewing volcano rose from the rubble to dominate Fortnite’s horizon. But, when it comes to paving the way for the expected Fortnite season 9 map changes, Epic is leaving it’s fair share of clues for players to puzzle over. For starters, perplexing Fortnite excavation sites have appeared in the world – west of Salty Springs, south of Retail Row, and east of the desert biome, to be precise. 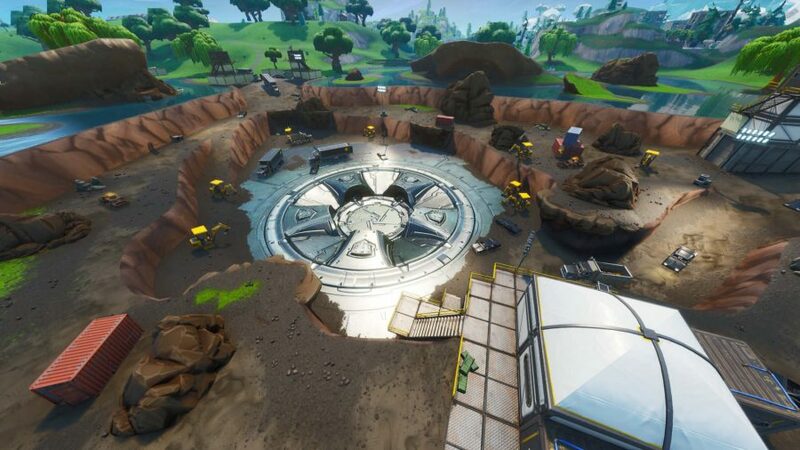 Filled with rocks that have a total health pool of 500,000,000, these Fortnite dig sites are being mysteriously re-filled following patches, after players who had hacked them away uncovered a volcano vent, lava, and a hatch. This mysterious trap door has appeared in Loot Lake, which recalls the the Dusty Divot meteorite crash site a few seasons ago with its surrounding lorries and science facilities. While we don’t know what the hatch hides, this is the precise spot that Kevin the cube exploded after leaving runes all over the map. More runes have been datamined and the site is steeped in arcane purple magic, so the connection with the big ol’ block seems clear. Now it seems the entirety of the lake can be excavated – season 8, for want of a better phrase, is really starting to hot up. These curious points of interest recall the iceberg that appeared in Happy Hamlets, which started with one billion health and, after ten hours, this Titanic-bothering lump melted away to reveal a bunker like the one that can be found in Wailing Woods. As to how all this affects Fortnite season 9, however, is anybody’s guess. That said, the lava beneath the rocks seems to support the theory that, one day, the map will be covered in magma, reforming at least some of its topography. There’s precedence for this with the Floor is Lava LTM, after all. Of course, as with the Fortnite Prisoner skin and the end of season 7, no fan theory about the upcoming phase of battle royale should be without mention of the Fortnite Ruin skin – unlockable in week eight of this current season. Firstly, if you take a peek at the chinks in Ruin’s armour, his skin looks an awful lot like the Prisoner’s once you’ve fully upgraded him. It’s possible that they’re related, or at least working together to face the Ice King. Moreover, Donald Mustard, worldwide creative director at Epic Games, tweeted “the Prisoner has a Right Hand”. Could he be referring to Ruin as his right hand man? And there you have it, that’s everything we know about Fortnite season 9 so far. We understand your excitement, but there’s still a way to go before the Fortnite season 8 end date. So, in the meantime, make sure you’re all caught up on your weekly challenges, such as finding the Fortnite wooden rabbit location and completing the magnifying glass task. Either way, we join you in counting down the days to the ninth season of battle royale goodness.